Who's welcome at the Brooklyn Museum? The attempts of Brooklyn Museum of Art (BMA) to court more than just a White, middle- and upper-class, over-40, audience have resulted in a visitorship that more closely reflects Brooklyn’s demographics. (At the time of the 2000 census, Brooklyn was only about 40% White/Caucasian.) The focus of the recent New York Times article, “Brooklyn Museum’s Populism Hasn’t Lured Crowds,” (and several of its readers’ publicly expressed opinions on twitter) suggests that Brooklyn Museum mounted “populist” (or in one blogger’s confounding and contradictory interpretation, “false” populist) exhibits to increase overall visitor numbers, and that this was a failure. In fact the article provides enough information for discerning readers to draw a variety of nuanced conclusions. The problem is mostly in the broad suggestion of its headline paired with the assumption that “luring crowds” is or should be BMA’s goal. Many studies have shown that the large majority of art museum visitors are college-educated, white people. Many minorities, non-whites, and working class people (regardless of race), feel uncomfortable or unwelcome in museums. This is an atrocity. Working to change this takes time. Brooklyn Museum and many other museums are making strides to do so. (Some people on twitter caught on to this.) BMA’s programming is quite diverse and has not become a mere dumbed-down series of amusements. Healing the Wounds of War: The Brooklyn Sanitary Fair of 1864 is a current example of an exhibit that is of a purely scholarly and educational nature. The recent James Tissot: “The Life of Christ” was an amazing scholarly exhibit of one of the museum’s collection highlights which was barely covered in the press. Reflections on the Electric Mirror: New Feminist Video was a starred exhibit in New Yorker magazine for the length of its seven-month run. It was exactly the kind of exhibit detractors are saying is being replaced by Star Wars and Hip-Hop exhibits whose focus may not be scholarly in an art-historical context. In fact these exhibits peacefully CO-EXIST and attract a broader variety of visitors for doing so. Anyone who has been to a “First Saturday” at Brooklyn Museum knows that it is the most diverse recurring party in New York City, not just in terms of race, but also of age, cultural background, and socio-economic background. The other thing that the press seems to overlook is that these visitors look at the art! I have been to many First Saturdays. I remember the long lines to see the Basquiat exhibit (2005) and the Murakami show (2008), but I also have had many experiences of wandering through the permanent collection galleries and other temporary exhibitions and seeing all kinds of people looking at art on a First Saturday! Inside the Brooklyn Museum looking out (at Eastern Parkway and Washington Avenue). I suspect that the real reason for a decrease in numbers has more to do with major cutbacks in funding during the economic downturn. The museum’s staff was cut and this almost always results in a decline in programming and promotion which in turn brings about a decline in visitorship. Though the Times article states, “Last year, the museum cut its staff by 20 through layoffs and buyouts,” it does not make this tie—a connection which is obvious to anyone who works inside a museum in similar circumstances. One major problem with the current funding structure for museums is that government funders and foundations place a disproportionate amount of weight on increasing the numbers. This is the very thing that pressures museums to mount exhibits conceived to bring in large numbers in the first place. Articles which reinforce this thinking are not helping the cause and do not encourage museums to better serve their constituencies. 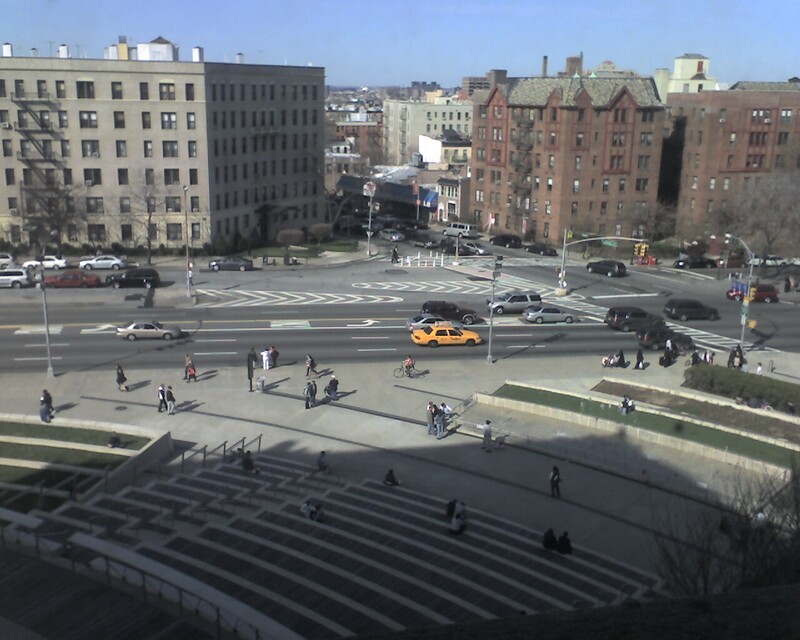 This entry was posted in Uncategorized and tagged "Brooklyn Museum". Bookmark the permalink. I’d like to challenge the NY Times reporter to visit on a First Saturday to try to navigate through the crowds in ALL the galleries. Seriously! And the idea that people don’t come back is ludicrous. Maybe they are only coming back for First Saturdays, but if that’s their monthly time to look at art, dance, and hear live music, Brooklyn Museum is successfully fulfilling its mission! A-men! It’s a vicious circle that takes a brave board and leadership staff to break out of. When a museum’s worth is only measured by the number (and kind) of people that come through the door, I’ll know it’s time for me to leave the field. 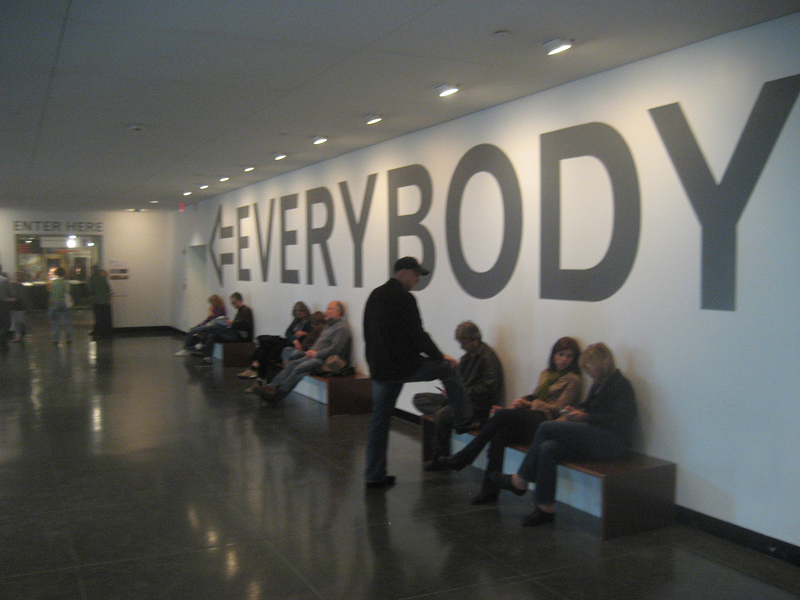 I totally agree, thanks for coming to the Brooklyn Museum’s defence. In my opinion, the fact that little me follows the museum’s blogs and regurarely say it is one of my favourites – although I’ve never been there – counts as evidence towards that they are doing things right as well. Their website, blogs and Flickr stream are great, their twitter is informative but not boring to follow, the API initiative, .. . If there is any museum an example of how a ‘museum 2.0’ should be, both on the web as well as in making changes in how it reaches out, it is the Brooklyn Museum. Happy to hear the musuem is doing things right! Here here! I was there for a First Saturday to see Kiki Smith but spent most of my time sitting in the lobby documenting the enormous crowd. I was happy but flabbergasted. It was diverse, inter-generational, and fun. Large groups of people who probably aren’t considered regular museum-goers were on tours of the exhibitions. It was wonderful! There is room for both the cultural cathedral and the town square models of museum stewardship to be embraced in one institution and the Brooklyn Museum is a first rate example of that promise.